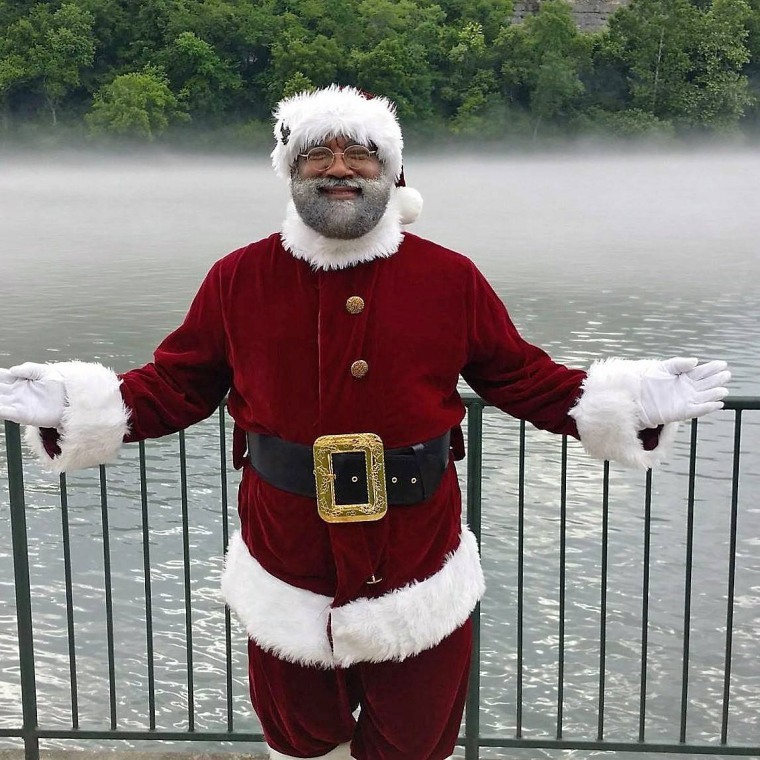 Larry Jefferson donned his bright-red Santa Suit and flashed a wide holiday smile as a steady stream of children lined up to share their Christmas dreams with their favorite white-bearded hero. Jefferson, who made history last year by becoming the first African-American Santa Claus at the Mall of America in Bloomington, Minnesota, was booked solid for his final nine-day appearance at the mall for the year. He is jolly as he reflected on a journey of making spirits bright. Jefferson, known to his fans as “Santa Larry,” said he receives wonderful responses from children and parents — of all racial and ethnic backgrounds. But not everyone has embraced Jefferson’s white beard, brown face, and red suit. When it was reported that Jefferson would be the first black Santa of the largest mall In the U.S., the Minneapolis Star Tribune turned off the comment section of the website due to so many racist remarks. This year, there weren’t many racist reactions on social media like before and there has been an outpouring of support. Landon Luther, co-owner of The Santa Experience inside the mall hired Jefferson to work at one of his stores at the Mall of America. Luther said Jefferson was so successful that he hired him back again this month for eight days. The Santa Experience rotates mall duty among several Santas including Jefferson. Each Santa works a certain amount of days and Jefferson lives in Dallas, Texas, a contributing factor for his short tenure at the mall this season. Melanie Henderson Mickie proudly posted pictures on Jefferson’s Facebook page of her baby propped on Jefferson’s lap. “On Monday, Baby Girl will be 4-months old, and to celebrate, she had her first Christmas photos taken with Santa Larry at the Mall of America today!” Mickie wrote on Facebook. Jefferson said he was inspired to be the man in the red suit "out of pure joy" in 1999 when he first dressed up as Santa to surprise his brother and his three young nephews. He said they shouted with excitement when they saw him at the front door wearing the suit he bought for $29.99. A retired U.S. Army captain who served in the Gulf War, Kuwait, Saudi Arabia and Afghanistan, Jefferson said his military experience prepared him to meet people from all walks of life. Though his season at the mall has ended, he isn't putting the sleigh in the shed just yet. "There is a demand for black Santas and Santas of color," he said and is booked for holiday parties. “I am never retiring! I enjoy working."